Bow windows are a terrific way to add beauty and elegance to any room of your house. Whether you are looking for a new look or feel for your living areas, kitchen, bedroom or dining room, bow windows can make all the difference. The windows of your home do more for a room than just let the light in. Windows help to make the room look and feel more spacious and pleasant while accenting the layout and décor of your home. Charlotte County Glass has been helping to beautify the homes all across Port Charlotte for over 23 years. If you are looking for new windows or looking to replace broken windows, we are your window specialists. Bow windows are windows which project outward from the wall of a building. Bow windows consist of 3,4,or 5 windows which are arranged to create a slight curve. Increased natural light–Since bow windows have a panoramic view, more light enters the room from different angles. Adds space and depth to a room– Bow windows project outward creating the sense of space and openness. Adds value to your home– Bow windows add an aesthetic appeal along with increased square footage to your home which adds to the resale value. 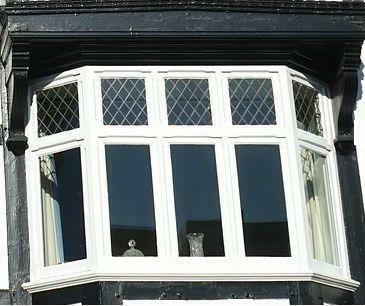 Energy efficient– Bow windows can increase the energy efficiency in your home. Versatility– Bow windows can be installed in any room of your home. They are perfect for creating a little reading nook or sitting space. Charlotte County Glass has been servicing the area for over 28 years. We provide sales and service to Port Charlotte, Punta Gorda, North Port, Englewood and surrounding areas.